Chevron just announced a deal to acquire Anadarko Petroleum for a 33% premium. Given their current valuations, this is a fair deal, and it makes sense in an energy sector that is undervalued. With current valuations in the energy sector, look for more M&A deals in the near term. I have been writing a lot about the energy sector lately, with three recent public Seeking Alpha articles published and a lot more private research completed. For background reading, here are links to the three recent public articles, and considering the news that Chevron (CVX) is acquiring Anadarko Petroleum (APC) this morning, for roughly a 33% premium, I would focus on the first, which discusses current valuations in the energy sector: "A Focus On Energy: Starting Valuations Matter"; "A Focus On Energy: Exxon's Storied Past And Learning Lessons"; "A Focus On Energy: Chesapeake Making Progress; More Room To Go." The proposed deal by Chevron is a smart move, in my opinion, as Anadarko Petroleum was undervalued, which I will show in more detail later in this article. Look for further deals, as energy majors like Exxon Mobil (XOM), BP (BP), and Total (TOT), have turned in very good years from a cash flow perspective, and many independent exploration and production companies, like Anadarko and Chesapeake Energy (CHK), which I wrote about recently above, are significantly undervalued compared to the current market multiples and compared to their own historical multiples. The entire energy sector is undervalued relative to the historically overvalued equity market, with exploration and production companies the most undervalued, and as a result, there will be more mergers and acquisitions, providing a near-term and intermediate-term boost to shareholder returns. 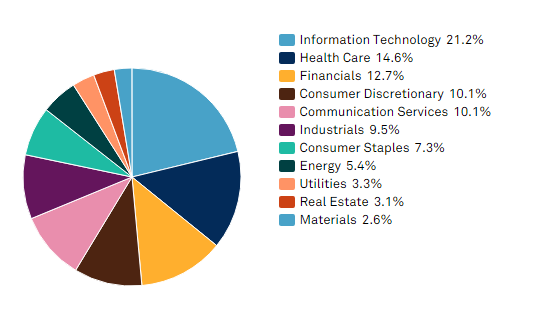 In my recent article linked above, I published EV/EBITDA multiples for the companies in the energy sector in the S&P 500 Index. Here were those valuation multiples, listed in order of market capitalization. Looking at the above, on a historical multiple basis, as of yesterday, Chevron was trading at a 7.9x EV/EBITDA multiple, while Anadarko, which I had flagged in bold as being undervalued, was trading at a 5.7x EV/EBITDA multiple, so even with the 33% premium paid, which brings APC's current multiple to something roughly in line with CVX's current multiple, the price looks fair. Building on this narrative further, a leading independent producer like EOG Resources, which was trading at a 7.6x EV/EBITDA multiple, is a fair comparison, and this is roughly the price Chevron paid for Anadarko. With $WTIC oil prices up 40% year-to-date in 2019, Anadarko's stock price performance, shown in cyan below, which was up only 7.5% YTD, had severely trailed the performance of oil, and the broader equity market, as measured by the SPDR S&P 500 ETF (SPY), which is up 15.8% YTD in 2019. Conversely, Chevron's stock had performed better YTD in 2019, up 17%, slightly ahead of the S&P 500 Index, but still trailing the robust 40% gain YTD in crude oil prices. Looking further back, to January 1st of 2016, Anadarko's share price has actually declined, down -0.5%, while $WTIC oil prices have risen 71.5%, and the S&P 500 Index has risen 50.7%. In comparison, Chevron's shares have actually outperformed the S&P 500 Index since January 1st, 2016, rising 59.6%, though these gains still trail the percentage gain in crude oil over that time frame. Ultimately, Chevron used its more favorable stock price, along with some cash, to make a favorable deal for undervalued Anadarko, which has seen its share price struggle in 2019, and since the secular bottom in commodity prices in 2016. Looking at long-term charts, it is clear to see that Chevron shares are at/near their all-time highs, providing valuable currency for a deal, while Anadarko shares are not even close to their all-time highs. Even with the 33% premium paid, which would put Anadarko's share price in the low $60 range, Anadarko shares would still be a long way from their all-time highs, and importantly, they would still be below their 2016 and 2018 highs, which were above $70 per share, providing further validation, along with EV/EBITDA multiples, that Chevon is paying at least a fair price and, ultimately, probably got a good deal, considering the entire energy sector is undervalued, as shown in the following graphic. Ultimately, both Chevron and Anadarko are undervalued at today's valuation multiples, especially compared to the broader equity market, where some of the in-favor sectors trade at more than double the current valuations of the out-of-favor energy sector. Chevron is getting a fair to good deal with their purchase of Anadarko Petroleum, taking advantage of the relative strength in their the equity, and relative weakness in the share price of Anadarko Petroleum, to commence a deal that will be accretive to both CVX's earnings per share and cash flows one year after the deal closes, per Chevron. With the energy sector at a historically low 5.4% of the S&P 500 Index, and many energy equities undervalued, on both a relative and absolute basis, look for more merger and acquisition activity in the near term, as many companies will be looking to accomplish the same accretive, opportunistic acquisition that Chevron is attempting. Investment bankers from Goldman Sachs (GS) to Morgan Stanley (MS) to JPMorgan (JPM) all are aware of the historical valuation disconnects, so this should be a fertile area for merger and acquisition activity going forward. In this prevailing investment environment, the most undervalued firms should find a bid, with a firm like Cimarex Energy (NYSE:XEC), which is part of the S&P 500 Index and now trades at a 4.2x EV/EBITDA multiple, after rising just 9.3% YTD in 2019 (remember $WTIC oil prices are up 40%), finally getting a positive valuation catalyst from Chevron's bid for Anadarko. Building on this narrative, from my personal perspective, the best values from an EV/EBITDA multiple perspective are in out-of-favor energy companies not in the S&P 500, and this is the primary focus of our private research. In summary, the Chevron's bid for Anadarko is an event that could change sentiment in the historically out-of-favor energy sector, with exploration and production companies, which I believe are the most out-of-favor, receiving the biggest valuation increases from this proposed transaction. An ideal environment would be owning the most undervalued energy equities in a rising energy price environment, which is ironically what we have had since 2016. However, thus far, this apparent unrealized value has been further obscured. This will ultimately change, as value investors regain their footing in a historically one-side market that has favored platform disruptive growth companies like Amazon (AMZN), Alphabet (GOOGL), (GOOG), and Salesforce.com (CRM). Adding to the narrative, once the bond market rolls over once again, look for a capital rotation, highlighted by a move from growth-to-value, where energy companies should benefit disproportionately, given how out of favor they are currently, that has a chance to rival or exceed the capital rotation that took place from 2000 to 2002. 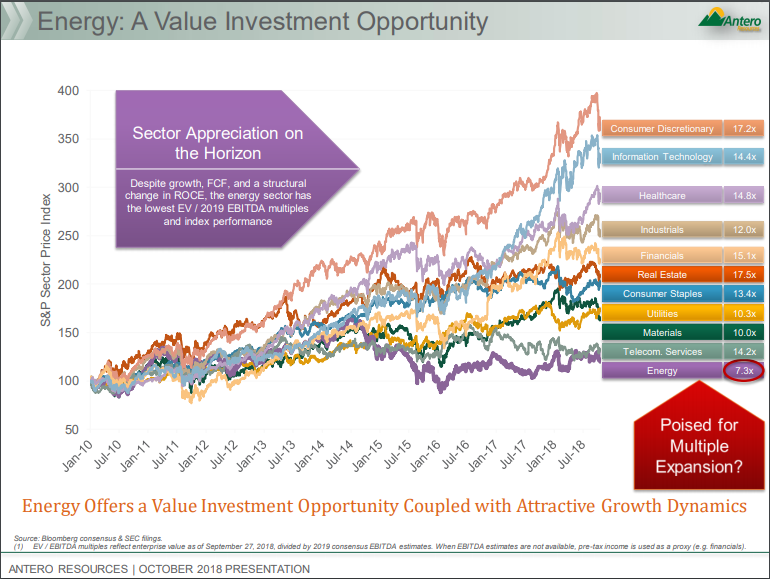 To close, even though it has been a very difficult almost decade-long stretch for value-oriented investors, with pockets of significant outperformance, including 2016, I think we are about to enter a golden age for active, value investors who do the fundamental work, who can find the future free-cash-flow-leading companies, and the most out-of-favor sectors and the most out-of-favor equities, including this recent public write-up, will be at the forefront of this opportunity. For further perspective on how the investment landscape is changing, and where to find the 15% and 20% free cash flow yielding companies of tomorrow, and for help in finding under-priced, out-of-favor equities with significant appreciation potential relative to the broader market, consider joining a unique community of contrarian, value investors that have thrived in 2016, and weathered the storm in 2017 & 2018, to become closer as a collaborative team of battle-tested analysts. Collectively, we make up The Contrarian, sign up here to join. Disclosure: I am/we are long CHK, XOM, KMI, AND SHORT SPY AND AMZN AS A MARKET HEDGE. I wrote this article myself, and it expresses my own opinions. I am not receiving compensation for it (other than from Seeking Alpha). I have no business relationship with any company whose stock is mentioned in this article.